NEW BREMEN, Ohio (February 5, 2019) — Crown Equipment Corporation, one of the world’s largest material handling companies, has been named to the Food Logistics 2018 FL100+ Top Software and Technology Providers list. The annual list recognizes software and technology providers whose products and services are critical for companies in the global food and beverage supply chain. 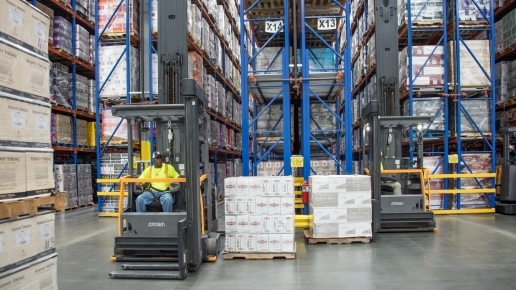 Crown’s connected solutions, such as its InfoLink® fleet and operator management system, and its automation solutions, including QuickPick® Remote order picking technology and Auto Positioning System and Auto Fence features of its TSP Series Very Narrow Aisle Turret Trucks, are examples of the advanced software and technology available to help companies in the food and beverage industries increase productivity and efficiency in their operations. The company’s global headquarters is located in New Bremen, Ohio, USA, with regional headquarters in Australia, China, Germany and Singapore. Its employees number more than 15,000 worldwide. Crown operates a service and distribution network that exceeds 500 retail locations in over 80 countries. 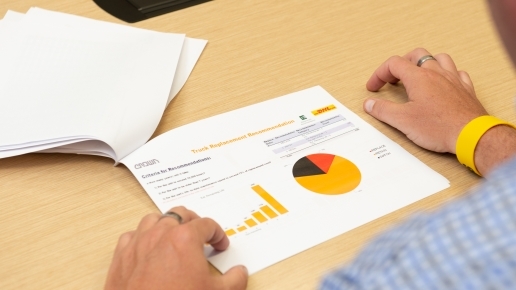 To learn more about Crown’s ideas for helping customers advance the productivity of their operations, visit crown.com. Food Logistics is published by AC Business Media, a business-to-business media company that provides targeted content and comprehensive, integrated advertising and promotion opportunities for some of the world’s most recognized B2B brands. Its diverse portfolio serves the construction, logistics, supply chain and other industries with print, digital and custom products, events and social media. For more information please visit www.foodlogistics.com.